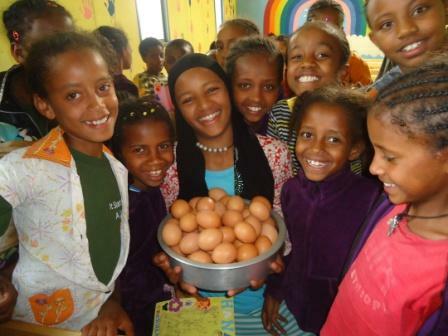 Posted on October 10, 2013 by ethiopianorphanrelief under Do Something! 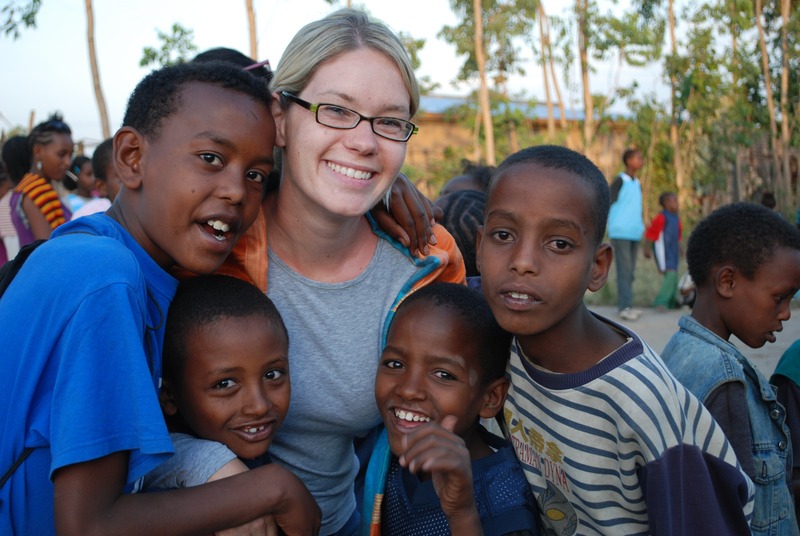 In three days, EOR board member Ali will be running the Chicago Marathon for a purpose. It’s all about the miles. She will be running 26.2 miles for kids that are 7,549 miles away. Ali’s running to provide medicine for kids in one of the poorest areas of Ethiopia, our sweet friends in Shanto, Ethiopia. 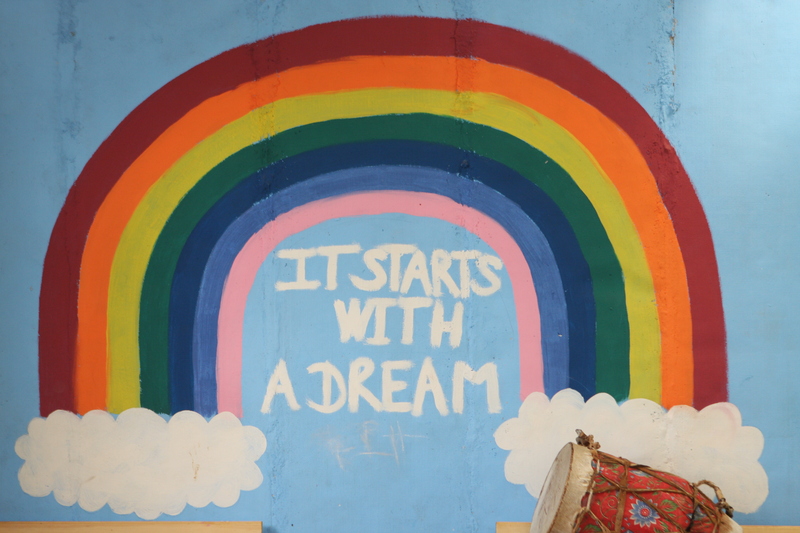 In 2011, Ali saw first hand the impact that EOR donor’s have had on these children’s lives. 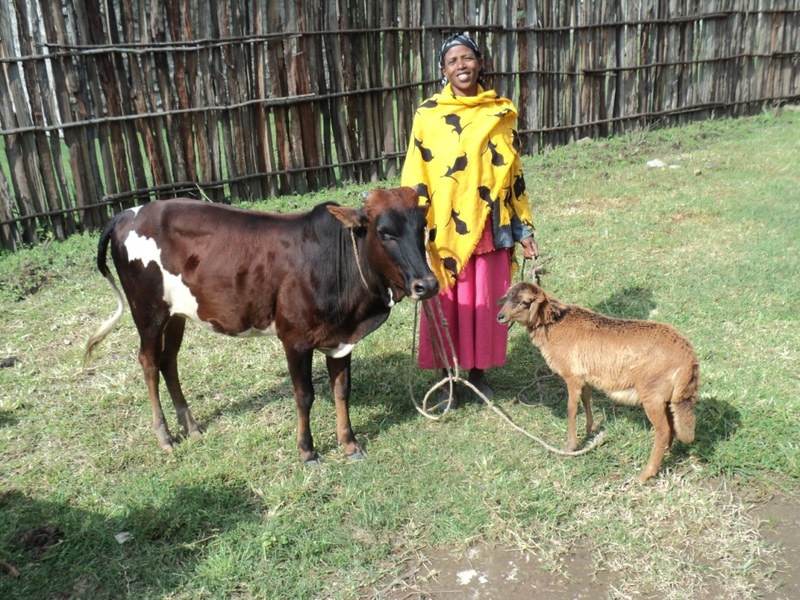 She traveled with EOR to Ethiopia, visited our partner organizations and worked her tush off painting the care center, playing games with the kids and so much more. Ali’s journey to the Chicago Marathon has a greater purpose. With every sore muscle she has she knows that some pretty amazing Ethiopian kids will benefit and receive medical supplies, medicine, nourishment that we often take for granted here in the states. 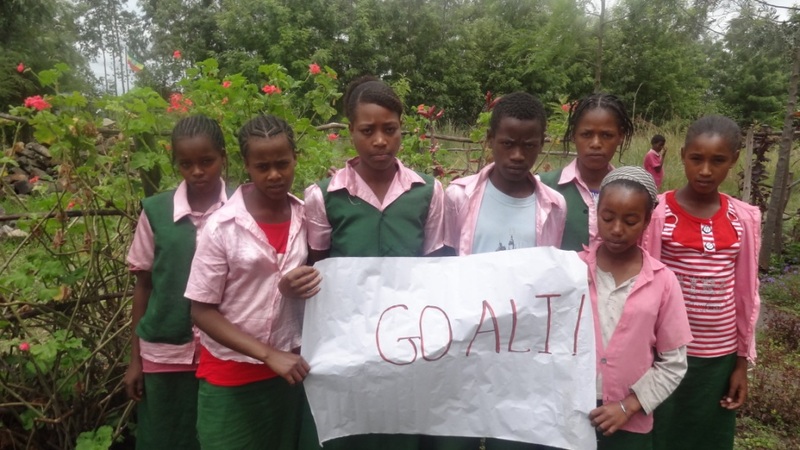 Our friends in Ethiopia send their encouragement to Ali in these photos! Saying Run Strong, Go Ali. They are thankful for her and to the donors who are supporting her. Her goal is $2,000 and she’s getting so close! As of this morning she’s raised $1,155.60. Let’s rally together to help her meet her goal! To make a donation of any amount please visit us here. 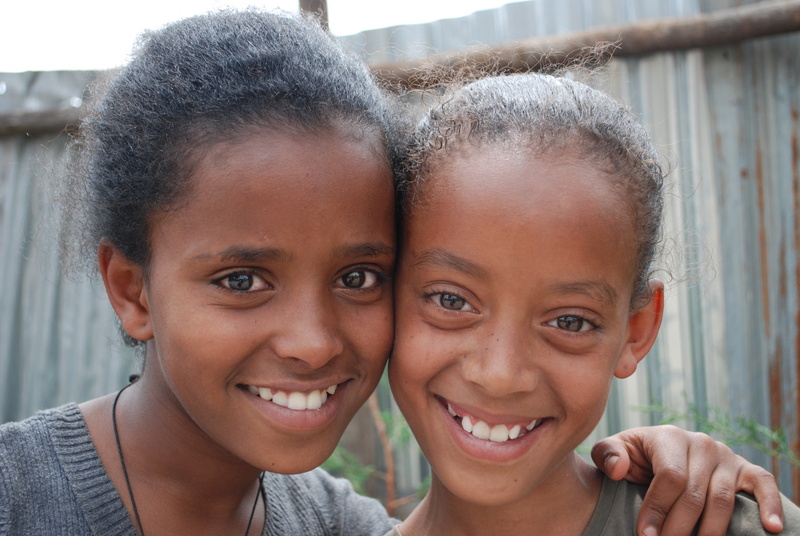 Posted on June 27, 2012 by ethiopianorphanrelief under Do Something! 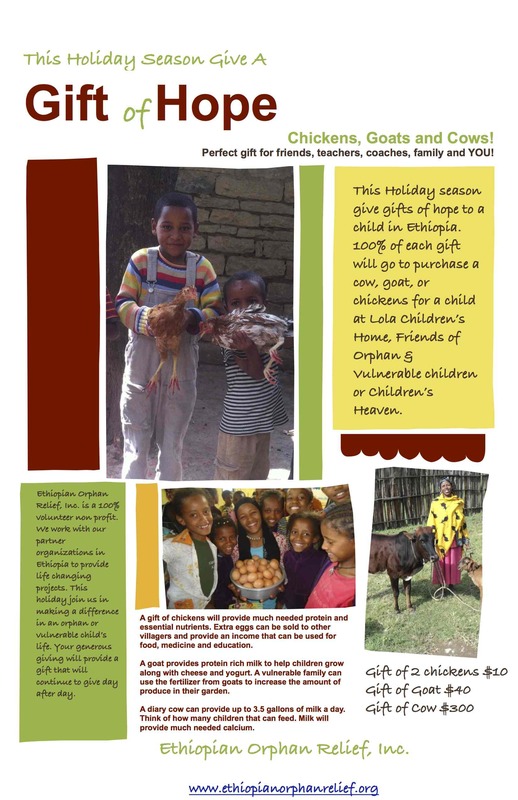 Starting Monday, July 2nd, 2012 you can wear your support for Ethiopian Orphan Relief. We will be selling t-shirts to help raise support and awareness of the orphan and vulnerable children in Ethiopia. 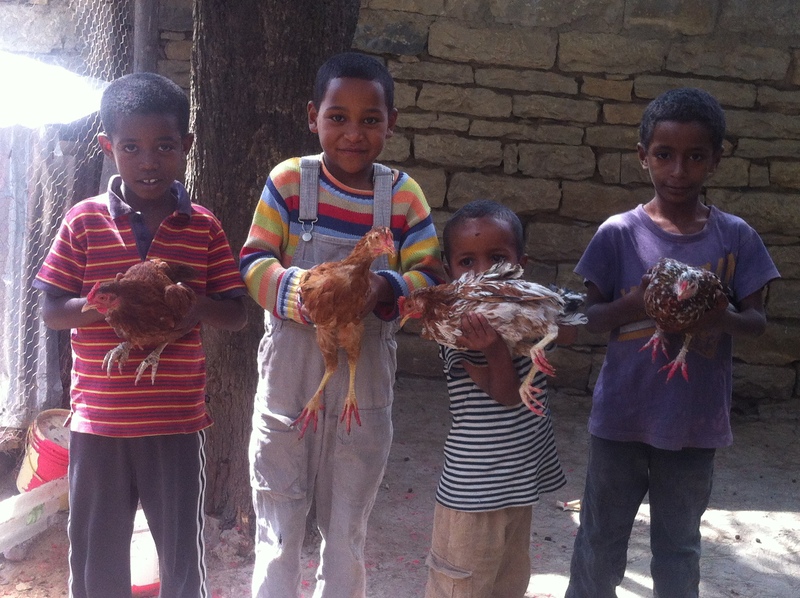 100% of the proceeds from the sale of each shirt will fund our current projects in Ethiopia. This original design created byMichael Keo Photography will launch our inaugural t-shirt campaign. Each year we will debut a new design. Women’s tees are available in Black – large, Xl and 2xl. Tee’s are 100% combed and ringspun cotton baby jersey knit with a feminine longer fit. Men’s will be Grey tee’s in large and XL. We also have an assortment of children’s sizes in Black, size 6-8, 10-12 or 14-16. 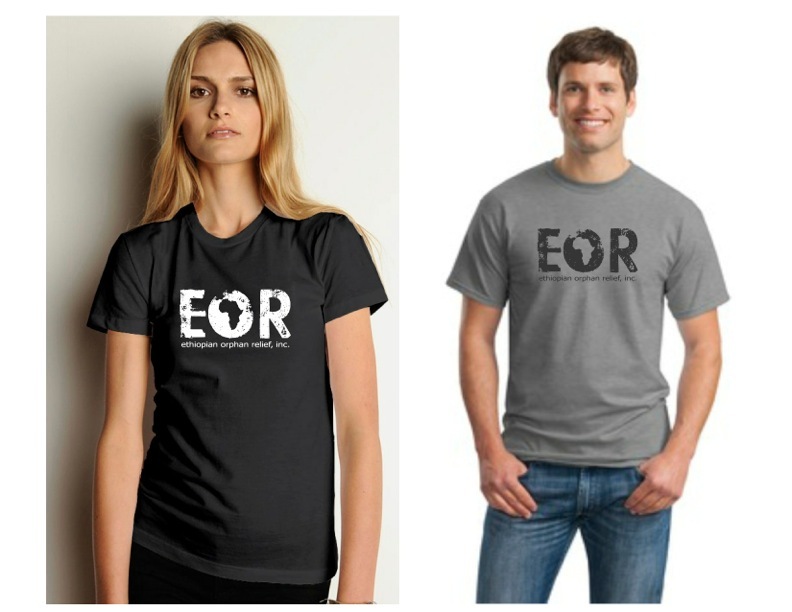 To pre order a tee please email Kim at kim@ethiopianorphanrelief.org Starting Monday you can purchase on the EOR website. Prices are $25 for adults and $20 for children. So here’s your chance to wear your support for Ethiopian Orphan Relief. 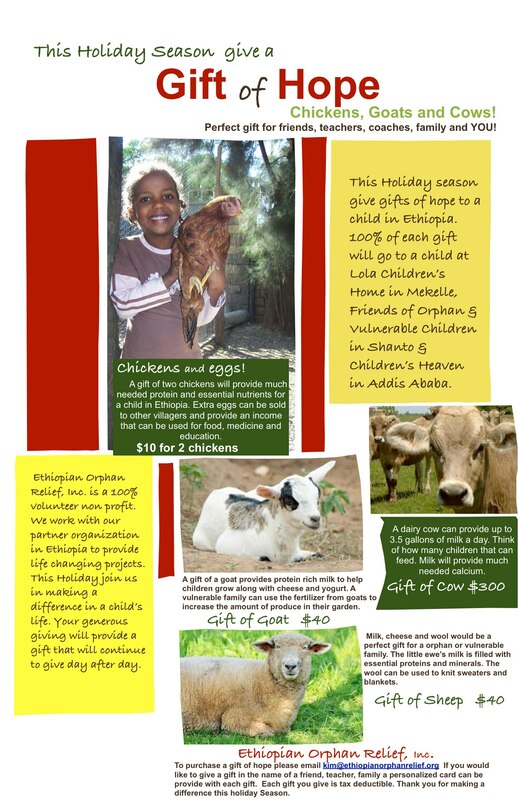 Posted on April 25, 2012 by ethiopianorphanrelief under Do Something! Malaria is an infectious blood disease caused by a parasite that is transmitted from one human to another by the bite of infected Anapheles mosquito. 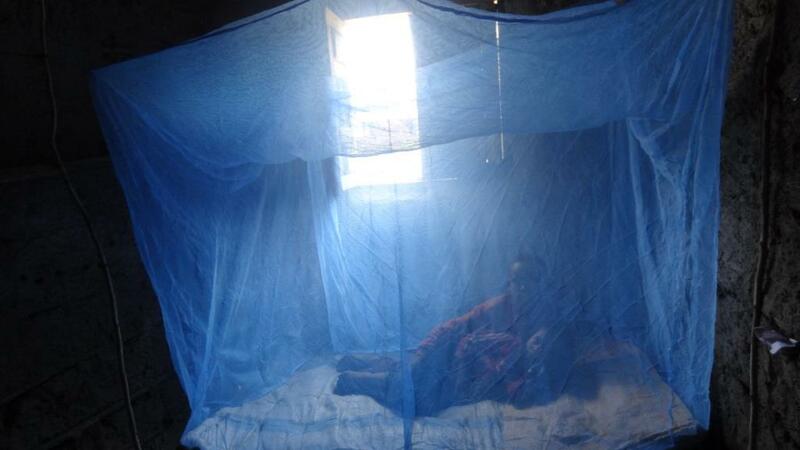 Malaria kills 781,000 people each year. Ninety-one percent of malaria deaths occur in Africa, and every 45 seconds a child dies from Malaria in Africa. 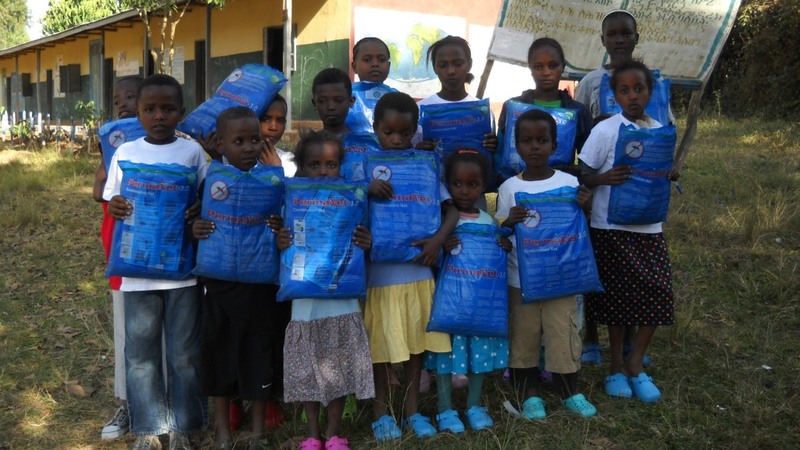 This past November Lauren, Paige and I, along with five of EOR’s donors traveled to Ethiopia and while there we hand delivered mosquito nets to Southern, Ethiopia. 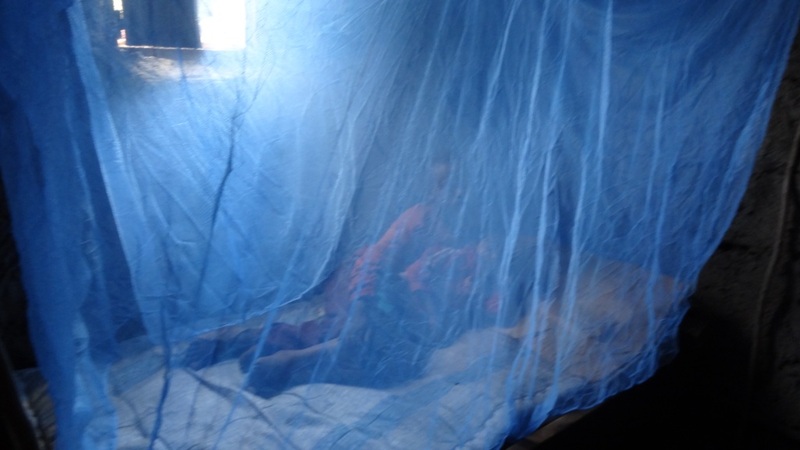 This area of Ethiopia was in great need of insecticide treated bed nets to help combat the endemic area. We also were able to provide much needed Malaria medication for some of the children who currently are battling Malaria. These nets will create a protective barrier against mosquitoes at night, when the vast majority of transmissions occur. With your generous giving we were able to deliver 220 nets along with funding an additional 213 nets. These nets were provided to orphan and vulnerable children in the villages of Shanto, Dale & Borcha.